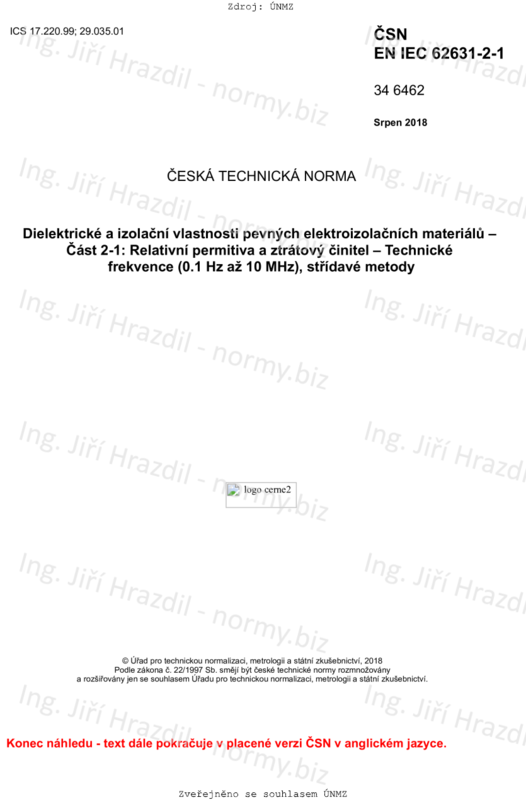 This part of IEC 62631 describes test methods for the determination of permittivity and dissipation factor properties of solid insulating materials (AC methods from 0,1 Hz up to 10 MHz). The frequency range is limited, depending on the test cell and electrode design, the dimension of the samples and connection leads. In this standard the parameters for the frequencies applied are therefore limited in the range of very low frequency (VLF) from less than 1 Hz and up to 10 MHz. However, measuring instruments can provide a broader frequency range, whereby the usable and suitable frequency range is limited by the whole test setup.